It's hard to write anything more about Kurosawa and especially hard to think of something new to say about Seven Samurai and Ikiru but here goes. One of the first DVDs I purchased near New Year's Day of 2001 when I got my first DVD player (for a movie fan, I was late to upgrade to the format!) 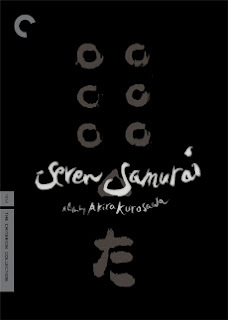 was Akira Kurosawa's Seven Samurai (1954). The original barebones Criterion disc listed for close to $40 and had very few extras. And the picture quality of the disc was not impressive; I assumed that a DVD version of this classic would have had a better presentation. 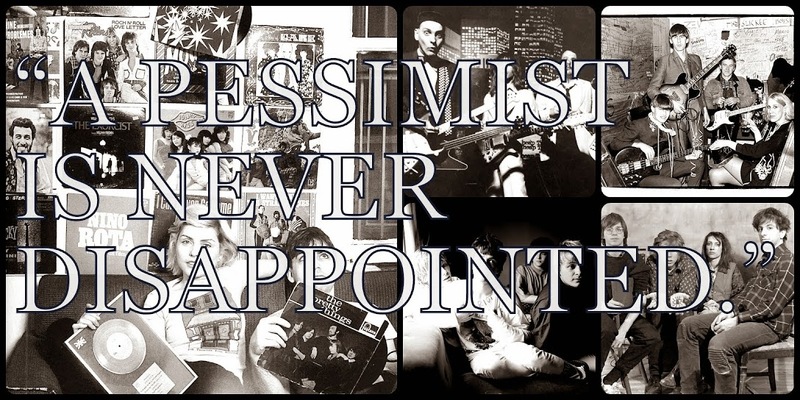 That experience soured me on Criterion for some time. 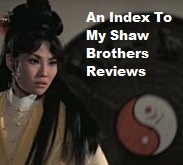 While my friends, and other fanboys, were getting into the Criterion experience, I was avoiding their releases unless they offered significant extra features. I was certainly not going to be like someone I know who knew almost nothing about film but was busily buying Criterions because they were numbered and limited and pricey. The presentation was trumping this guy's love for, or knowledge of, the films inside the cases. When I got my first all region DVD player, I started looking for some of the titles that Criterion has in the US on cheaper R2 versions without the Criterion number on their spines. I had to have some Kurosawas in my collection and to remedy that deficiency and save money, I purchased a mainland China, all region Kurosawa box set that had a bunch of his titles, some with great picture quality and some with abysmal quality and all with horrible subtitles. Good thing I had seen all of these titles already or they would have been hard to understand! But for some reason this past Christmas when Border's had a few good DVD sales in a row, I got a few titles on Criterion that I really loved or wanted to see, including rebuying for the third time some Kurosawa titles. The labels' exemplary job on Bottle Rocket convinced me that, yes, sometimes their discs were worth $40 a piece. Which is a long way of getting to that point that the 3-DVD edition of Seven Samurai looks amazing! Infinitely better than the barebones original Criterion DVD of the same title that I purchased some eight years ago. The film thrills and moves me every time that I see it. And where I once, as a teenager, wondered why the film didn't have more action, I now find the action getting in the way of the human drama that holds the film together. 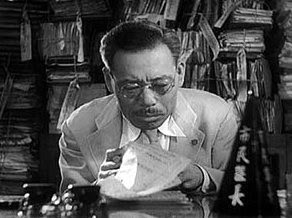 The first time that you see the film, you remember Toshiro Mifune but on the 2nd, and each subsequent, viewing, you remember Takashi Shimura. His presence remains at the center of all of the action and drama as his character, Kambei, is the one that gives a meaning to the mission. Once Kambei is on the side of the farmers, the rest of the samurai are hired and the drama commences. It is Kambei's decision to support the farmers' cause that gives nobility to the mission which enables the other samurai to take up the same cause as a worthy one. The introduction of Kambei and the following "hiring the samurai" section is still one of my favorite sequences of film of all time -- the use of sound and editing, and slow motion imagery for a brief spell, all contribute to what amounts to almost a classic mini-film within the larger drama. Let's just say that watching the film and the entire set of extras -- with a pause for dinner -- took me all of a Sunday -- nearly 8 hours! But it was time well spent. The episode from the Toho TV series on Kurosawa's work is quite good with some interesting bits on the writing of the script for the film. And the nearly 2-hour conversation between Kurosawa and fellow director Nagisa Oshima is fascinating if a bit static; a few clips or edits would have made this a bit more vibrant. The Criterion-produced documentary on the samurai film was informative and enjoyable even if it sometimes felt like a commercial for all of the other samurai films that Criterion has already released. Even without a Border's sale involved, I'd say that this version of Seven Samurai was easily worth a $50 price tag. 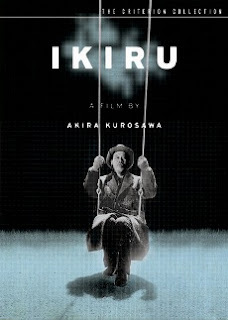 Ikiru is one of those films, like In The Mood for Love, that I'm always afraid I'm going to ruin by writing about. Having seen the film a handful of times now, I can say that, like Brando in A Streetcar Named Desire or On The Waterfront, Takashi Shimura's performance ranks up there as one of the world's best film performances. Alternating between using his expression, his body, and his voice, Shimura becomes the character of the everyday clerk struggling to find meaning in his life before it is too late. Shimura in a weird way exaggerates Watanabe only so that the character will stand out in the crowd scenes. We are witnessing a man that has let life pass him by finally discover the joys of the everyday world. The film could have been shot in a documentary style but what Kurosawa is doing is adding drama -- like in a silent film -- to Watanabe's journey. And Shimura is using that wonderful character actor's face of his to move from comedy to tragedy in sometimes seconds. When Watanabe is out for a night on the town with the writer, the viewer doesn't know whether to laugh or cry or both. I really can't explain this section of the film very well but it always works for me in the way that Charlie Chaplin works for other people; my grandfather would always talk about when Charlie Chaplin played a guy so poor and hungry that he "ate his own shoe" and how funny/sad that was. And then when I realize how poor my grandfather was as a child when he probably saw that Chaplin film, it adds a layer of poignancy to the Chaplin comedy that maybe wasn't there for me before. I guess it's just a case of finding the humour in tragedy. 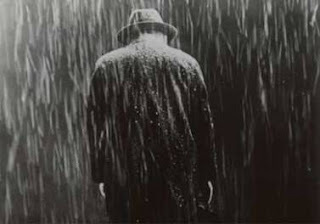 In your mind, as you watch Ikiru, you can envision any number of ways to shoot the same story. And the manner in which Kurosawa breaks up the sections of the film still baffles a bit. But it is one of those films, like maybe Five Easy Pieces with Jack Nicholson or Being There with Peter Sellers, that succeeds on the strength of the lead actor; no one else could play a part like this but Takashi Shimura. Even without sound, this film would work largely due to the expressions on Shimura's face. 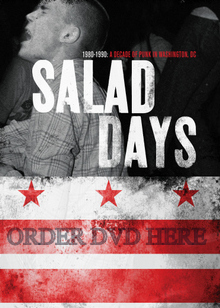 Unfortunately, I can't rave about *this* Criterion release as the picture quality is a bit sub par -- not so much grainy but rather with lines running down entire scenes. Some early scenes have a very light thin line running right down the middle of the frame which tends to make you forget about the drama you are trying to focus on. There is another episode from the same Toho series on Kurosawa that has a bit of background on Shimura with some great clips of the actor singing in an earlier role. And there is a 81-minute documentary on Kurosawa that is quite good. I don't feel that my $40 was misspent just glad that I had seen the film a few times before so that I wasn't seeing it for the first time with such a poor picture. You can read about, and order, Seven Samurai and Ikiru on the Criterion website.